In December 2013, beloved cat Phoenix vanished, leaving behind a heartbroken family. As the months went by, his family began to lose hope that they would ever see him again. “The whole family was devastated. We all hoped Phoenix would turn up, but after six months it was clear that this would not be the case,” said Phoenix’s owner, Cheryl. In May 2016 – more than two years after Phoenix went missing – Cheryl received a life-changing phone call that she had always hoped for, but never expected. Phoenix had been found and taken to The Lost Dogs’ Home. “I was so surprised and excited to get the call. When I told my son, he was so surprised that it took a few moments to sink in,” she said. 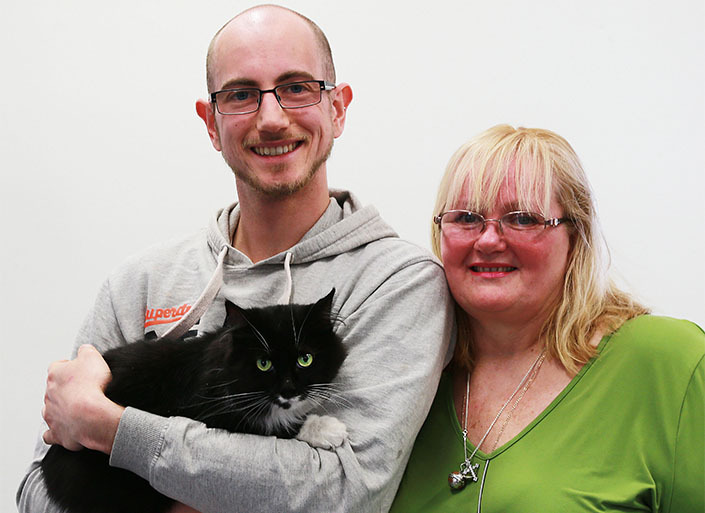 Cheryl and her son, Luke, rushed to our North Melbourne shelter to be reunited with their beloved cat. “When I arrived at the shelter, I felt nervously happy. It felt more like a dream come true. My son got him out of the carrier. Phoenix was very unsure, but he settled into my son’s arms like days of old,” Cheryl said. 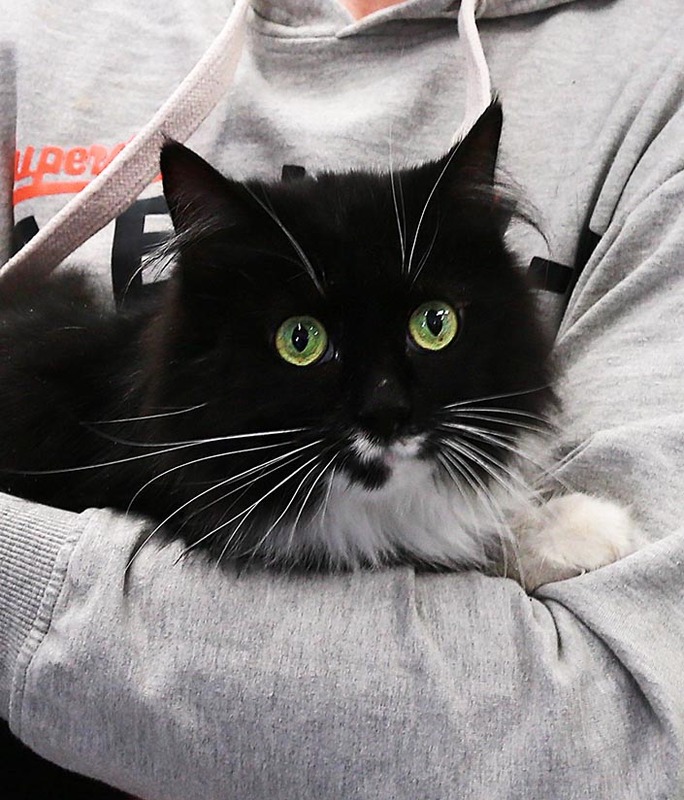 Phoenix’s reunion was only made possible thanks to a microchip. Without it, it’s unlikely that his family would have ever seen him again. “My first introduction to microchipping was with The Lost Dogs’ Home when we adopted two cats about 21 years ago,” Cheryl said. Visit National Pet Register to learn more about microchipping and why it’s so important. It’s unknown where Phoenix has spent the past two years, but his story serves as a reminder to do the right thing and hand in any found pets to give them the best chance of a prompt reunion with their family. “I think some people don’t understand the heartache and anguish people go through when you lose a pet. People should hand over lost pets, as the owners will worry and wonder what happened to their pet,” Cheryl said.